Conduit rod, duct rod and cable rollers for fibre optic, draw rope and LV-HV cable pulling into underground cable ducts. Cable rollers for duct applications include manhole cable rollers, rope guiding rollers, edge rollers and cable protecting bends. T&D service cable pulling contractors with a complete range of cable pulling equipment including cable rollers, cable socks, cable jacks, cable pulling lubricant and conduit rod. Conduit rod is a high quality helically wound epoxy rod providing excellent adhesion properties for the outer polyethylene coating - the conduit duct rod construction offers excellent bending elasticity for long and short installations into cable ducts. 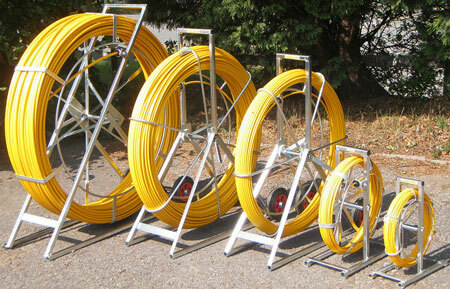 Conduit Duct Rods (Cobra) - 9, 11 and 14mm conduit rods are mounted on a mobile frame for ease of site mobility. 4 and 6mm conduit rods are supplied on a free standing frame. 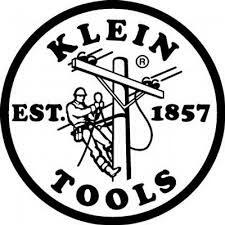 All conduit rods are designed and built for easy handling are are complete with guide tips. Pictured : Conduit Rods - used to pull cables and ropes between underground duct chambers.